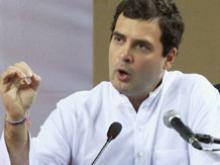 Are Rahul Gandhi's views on the ordinance genuine or just a poll gimmick? Rahul Gandhi has just trashed the ordinance allowing convicted politicians to contest the polls, going so far as to call it utter nonsense. Do you think he was unaware that the ordinance was being passed? Do you think his views are genuine or do you think this is just another gimmick to projecty himself as 'Mr Clean' for the 2014 general elections? Do share your views with us.